The poorly protected ramp to the right of Tips Ahoy; anchor off the tree and use directionals to toprope. Which SuperTopo guidebooks include a topo for Unnamed? 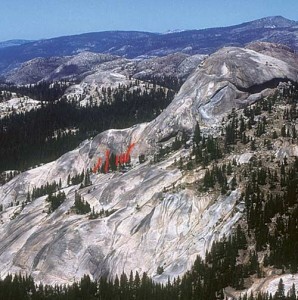 The South Flank routes are located in the tree-filled area in the center of the photo.